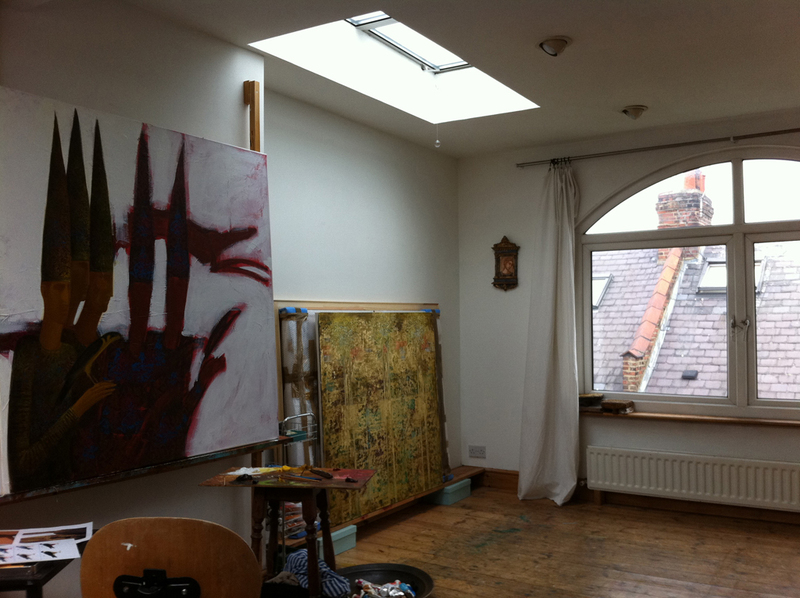 Timur's main studio (above) is the attic of his house in west London. He moved here in 1995, having arrived in London from Moscow in 1992. 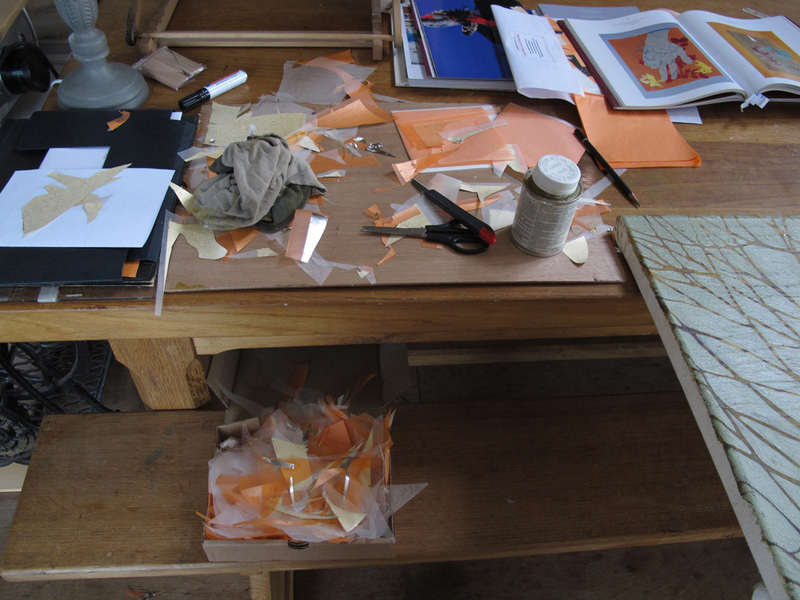 Although the studio space was small, it was here that nearly all his work was produced until he began to spend the summer months in France. The main problem with the London studio was an invasion of books. No sooner had Timur found a space he could work in than hundreds (now thousands) of books moved in to keep him company and inspire him. 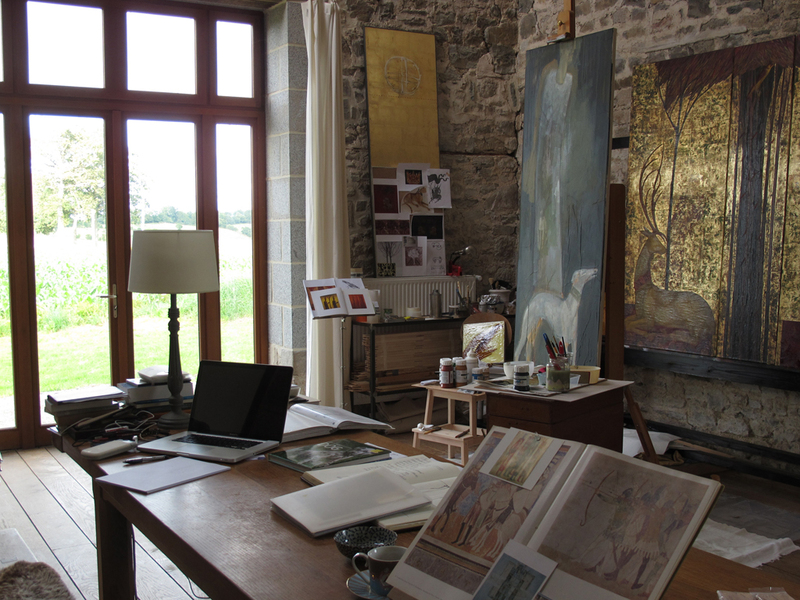 Since 2004 Timur has spent each summer working in a studio he created from a large barn near Pont-Farcy in Normandy, France (above and left). 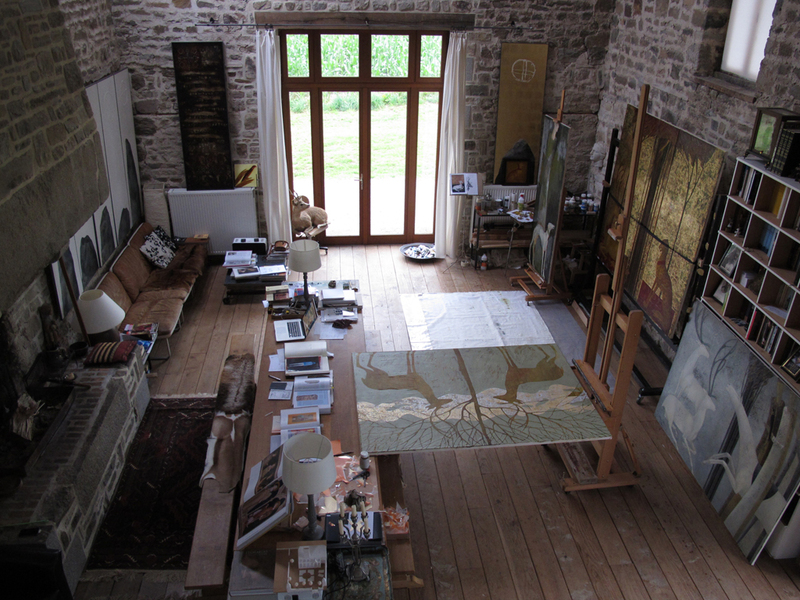 Today Timur's gallery bedroom, above the former stables, overlooks his studio which was once a large cowshed. In the kitchen between these two areas there was once a raised 'manger', traditionally called a grange  a reference to the days when Normandy was better known for its arable crops than its now-famous cows, milk, butter and cheeses. At night, over a glass of claret, Timur sees foxes on his doorstep, while at dawn, with panoramic views across the valleys of the Bocage Virois, he is frequently visited by grazing deer identical to those he'll be painting later that day.